Rajyog Odina is a newly launched residential project coming up in the spectacular location Chembur in Mumbai which has a superb residential infrastructure. The complex will have 2 wings for the privileged with 1, 2, 3 and 4 BHK luxury apartments. The apartments are built to maintain standards of your lifestyle and help you live a lavish life. In this stunning property, you will get all the facilities and features that you have envisioned for your dream home. Rajyog Odina, Chembur project is masterfully prepared under the guidance of highly skilled architects, engineers, and designers.The project is approved by Maharashtra RERA. Lal Dongar is a locality in Chembur East, and falls under the Konkan region. Alike any other metro city, real estate in Mumbai is on all-time high, even higher with the increasing demands for residential space. This demand has come up with the advancements in the suburban areas. A promising place to develop for residential property is Thane, which lies in proximity to Mumbai. In fact, not only residential, the place has also witnessed boom in commercial properties. A number of real estate companies and property builders are launching multi-billion projects in the city. These projects are a mix of high profile properties, properties for middle class society and cheap and affordable homes for poor as well. Factors that make the place more popular are - efficient municipality, sound infrastructure, pleasant weather and greenery. 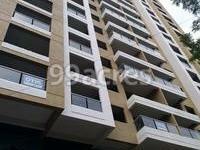 In which area is Rajyog Odina located?The project is situated in Chembur (East), Mumbai Harbour. What is the area of apartments in Rajyog Odina? The area of apartments offered in the project ranges from 561.0 sqft to 1520.0 sqft. What is 1 bedroom size in Rajyog Odina? The size of a 1BHK unit in the project is 561.0 sqft. 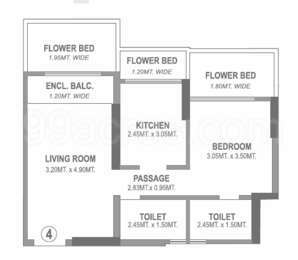 What is the area of 2 bhk in Rajyog Odina? The size of a 2BHK unit in the project ranges from 712.0 sqft to 807.0 sqft. What is the area of 3 bhk in Rajyog Odina? 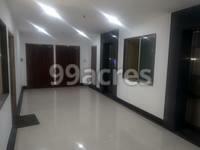 Three-room units (3BHK) in the project are available in an area of 1054.0 sqft. What is size of 4 bhk in Rajyog Odina? The area of 4 BHK apartments is 1520.0 sqft.